Mysore (WFS) – Every morning, a young woman steps out of her small two-room home, which she shares with her grandmother, parents and three siblings, ready to take on another hectic day at work.As she briskly walks past a row of cramped tenements a gaggle of enthusiastic children follows her. She takes this opportunity to quickly find out whether they have done their homework and what they plan to do after returning from school. Every once in a while she stops to talk to some older women to enquire how their little ones are faring in studies and whether they need any guidance. There is something quite charismatic about this girl, who has donned the traditional ‘salwar kameez’ and ‘hijab’ – everyone seems to love her and the respect she commands from the community belies her age. 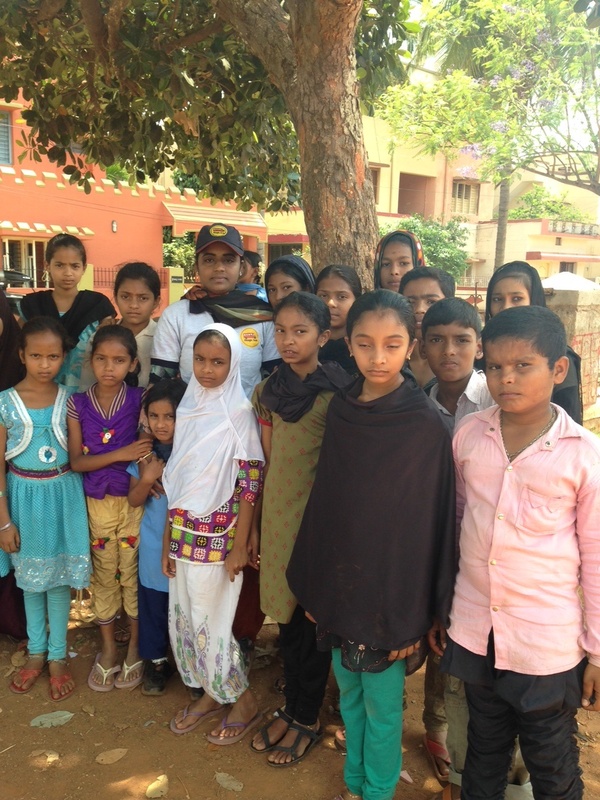 Meet Zaiba Taj, 21, mentor to several hundred children in and around her Haleem Nagar slum in Mysore and a true agent of change, who has not only managed to bring about a positive transformation in her own life but has been able to motivate others like her to follow in her footsteps. As someone who has seen her parents struggle to make ends meet Taj, who belongs to a conservative Muslim family, understands the importance of quality education and gainful employment, something she constantly talks to her young mentees about in her capacity as a Youth Mentor with Magic Bus, a non-government organisation that attempts to move children from poverty by making sure they have the basics they need to grow up well. Founded by Matthew Spacie, the organisation works in 22 states in India and runs a successful youth programme that uses sports and other “fun activities” to impart valuable life lessons. Over the years, Taj has closely observed her grandmother and parents work day-and-night to keep the home fires burning, a harsh reality that has only started to improve since she began working with Magic Bus three years ago. While her grandmother is employed as a mid-day meal cook at a government school, her father is a daily wager who makes Rs 3,000 a month. Her mother is not just burdened with household chores but she tries to take out time to roll ‘beedis’ (country cigarettes) to augment their meagre earnings. Naturally, prospective mentors have to first change themselves in order to be able to do the same for those they reach out to. And that’s precisely what the programme equips them to do. “families are not comfortable sending young women for a residential training. Magic Bus staff has to explain everything in great detail before they agree”. Taj is glad that her parents let her follow her dream of “doing something big with her life”. she remarks with a smile. Among the several duties that fill her busy six-day work schedule the time she spends at the HUDCO government school at Bannimantap is perhaps the most precious to her. She does not mind trudging for nearly four kilometres to interact with 320 students four days in the week. 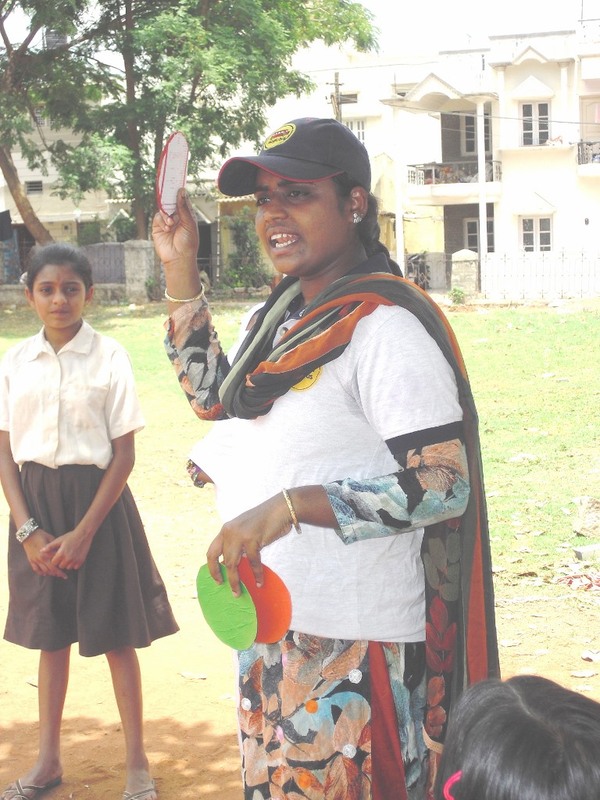 Incidentally, Taj trades her ‘hijab’ for a blue T-shirt, trainers and peaked cap while at school, where “pilelo-didi”, as she is known among her mentees, makes it a point to introduce interesting educational games and other sporting activities to make schooling enjoyable. Apart from visiting the HUDCO school, Taj spends time in Haleem Nagar conducting after-school workshops and visiting homes of children who are absent from school. In fact, attendance at HUDCO school has gone up by 20 per cent in the last three years thanks to her relentless efforts. On Sundays, too, she holds meetings with the Community Youth Leaders in the area, exchanging notes and evaluating their work. 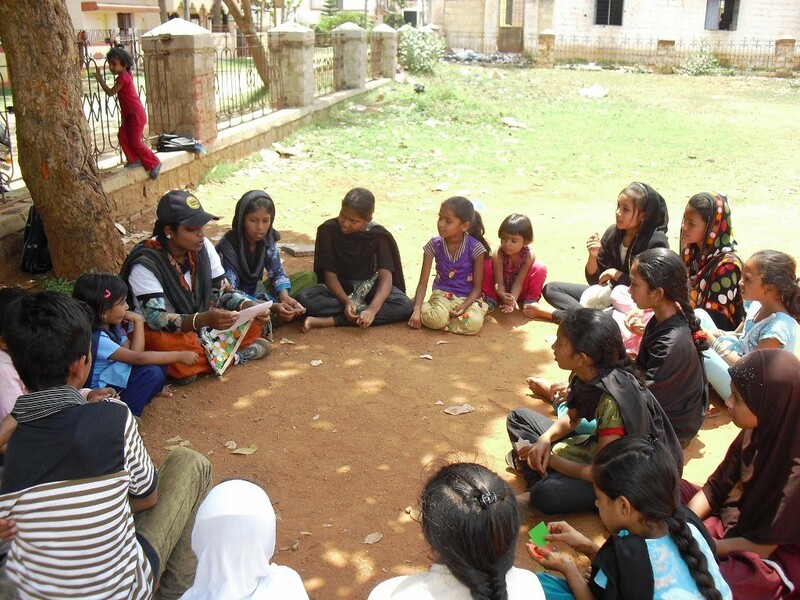 Currently, through its three-tiered structure, which comprises six Team Monitoring Officers, 30 Youth Mentors like Taj, and over 550 honorary Community Youth Leaders, Magic Bus is reaching out to 20,263 children across Mysore. Taj’s ambitions do not end with her success as a Youth Mentor. 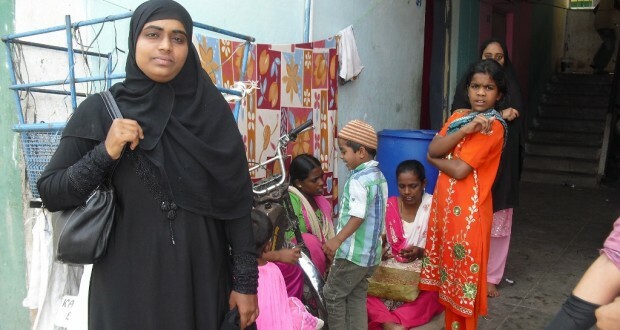 She hopes to complete her Bachelor of Arts degree soon and has been religiously saving up from her Rs 7,500 monthly salary to be able to buy things for the two most important women in her life – her grandmother and mother.